Staff Faculty and Students are invited to participate in a global initiative to introduce people to coding. Join Janis and Eric in the #scarfesandbox (Scarfe 1006 downstairs) for hands-on learning. We are holding two playshops on November 27 & 28 from 12:00 – 2:00 pm. In these playshops, we will be showcasing both plugged and unplugged coding activities such as Ozobots, Sphero, micro:bit, and tons more! We invite you to come downstairs to Scarfe Room 1006 with your lunch or a friend; the workshop works on a drop-in basis so feel free to come anytime you’d like. 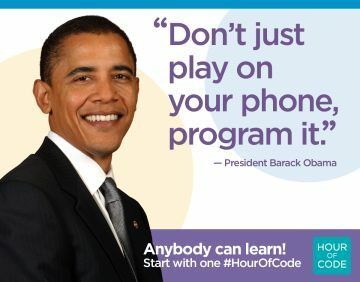 To learn more please read about the Hour of Code and visit the official website.